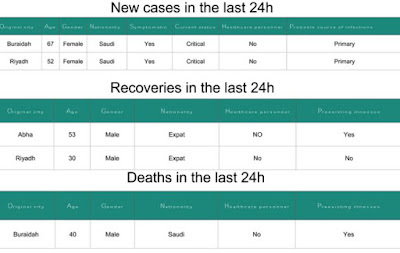 The recent uptick in MERS reports out of Saudi Arabia continues today with two more `primary' cases - and as we've seen with increasingly frequency this winter - both are already in critical condition at the time they are reported. The first case is a 67 y.o. female from Buraidah - making the second critical case reported from that city in the past two days - and like yesterday's case (now reported as fatal), no risk exposure is provided. The second case is a 52 y.o. female from Riyadh, and once again no known exposure is listed. 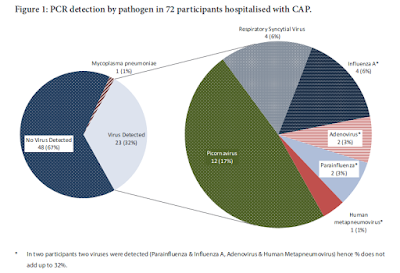 A month ago we were seeing mostly camel-exposure related MERS cases reported out of Saudi Arabia, but in recent days we are seeing an increase `primary cases' without a known risk exposure (8 since Feb 17th). For the majority of `primary' cases (those that occur in the community when there is no known exposure to a healthcare facility or to a known human case), the risk exposure remains unknown.